The finest guitar instruction by "Masters of the Craft"
Save $100 when you join TotallyGuitars.com Target Program. Click here to Join the program and we will send you a $100 discount code for IGC 2019 Registration. TotallyGuitars.com is has held The International Guitar Camp in Northern California since 2013. Our 7th IGC will once again be held at the beautiful Asilomar Conference Grounds at the beach on the Monterey Peninsula. Previous year's activities included a Performance Workshop, a Songwriting Workshop, Doug Young's sessions on Alternate Tunings, Hand & Finger Exercises For Guitar Players, Vanessa's Sing Along Class, Jim Bruno's Vocal Drop In Studio (which is available pretty much all day), Max Rich's sessions on Technique and Gadgets, Mini-Sets where campers get a chance to play a few songs in front of an audience, visits from luthiers like Ed Claxton and Richard Hoover of the Santa Cruz Guitar Company. We have also had workshops by guest artists that include Al Stewart, Muriel Anderson and Alex de Grassi. Our space is limited to 35 students and I look forward to seeing many familiar faces as well as some new ones in the Fall of 2019. The International Guitar Camp, or IGC for short, is a Guitar Player's community event being presented by Totally Guitars offering some of the finest guitar playing, training and instruction by an elite panel of guitar instructors who truly are "Masters of the Craft". This International Guitar Camp event, the brain child of Neil Hogan, Matt Williams and others in the TotallyGuitars.com family, will be attended this year by guitar playing enthusiasts from all around the world, many from the TotallyGuitars.com community and a lucky few who find their way to the "Join Us" button on this page. Most of our players have come to multiple camps, some even returning for their seventh time, continuing their journey of musical development and recharging lifetime bonds formed at earlier camps. Be sure to check out some of their experiences on our IGC Highlights page. For new IGC attendees this will mark the beginning of their guitar instruction journey and they will discover why this years' International Guitar Camp continues to be heralded as a lifetime experience that promises to give its patrons guidance, progression, and immersion in all things guitar and music. When and where will the International Guitar Camp be held? TotallyGuitars.com is excited to share with you several incredible details regarding our seventh, highly anticipated, International Guitar Camp. This year we are returning to the Asilomar Conference Center near Pacific Grove. Take a deep breath and settle in for a time of serene relaxation, reflection and rejuvenation. 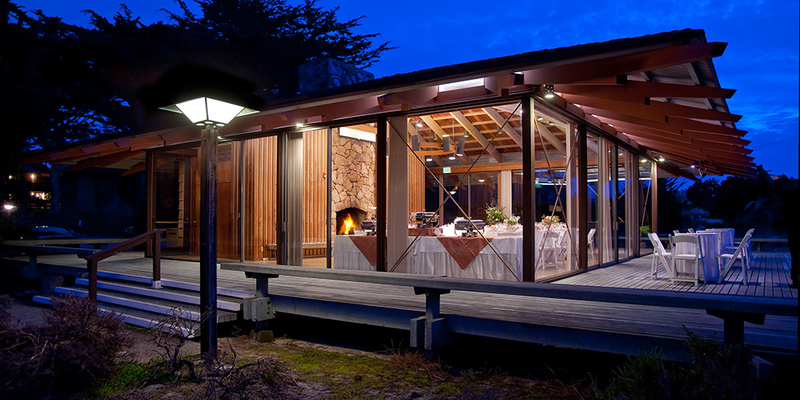 Celebrated as Monterey Peninsula's "Refuge by the Sea" - The Asilomar Conference Center is a breathtakingly gorgeous 107 acres of ecologically diverse beachfront land. Situated within the quaint and scenic town of Pacific Grove, Asilomar offers guests the simple comforts of cozy cottages and historic lodges - and an unforgettable escape from the demands of everyday life. This incredible venue will play host to the lucky group of eager guitarists looking to take guitar playing to a whole new level the week of September 30 - October 4, 2019. The food being presented at the IGC could be an event by itself. The IGC will include cooked meals from Monday evening through Friday morning prepared by the world-class chefs at the Asilomar Conference Center. At Asilomar you'll enjoy an authentic taste of California's Central Coast from their fresh, sustainable menu. At its' heart is the simple use of quality local ingredients such as beef, fish, vegetables, fruits, cheeses and wines prepared with delicate seasoning, and with attention to sourcing from regional farmers, ranchers and fishermen. They have no problems accommodating most dietary requests or restrictions. The rest of the staff will be announced as soon as possible. Well, of course there will be. As we continue to reach out to others, we will be announcing more special guest instructors, songwriters, music business professionals and other VIPs who will join us. Really, who knows what else we may conjure up? So simply we are saying, stay tuned to this site, the TotallyGuitars.com Forum and your emails for further updates and announcements over the coming days, weeks and months. It is our expectation that our seventh International Guitar Camp completely blows you away. We will keep this a regular event on the Totally Guitars annual agenda and we need you to help us make it a success. This camp is for you, the TotallyGuitars.com family of guitar enthusiasts and we welcome your ideas, suggestions and any insights that will make the guitar camp even better. So come on and join us for this fun-filled and enlightening guitar training and guitar instruction event. Space is limited for this incredible event as we are committed to every student having easy and personal access to all the instructors. We need to limit attendance to 35 campers. Time is of the essence and don't let this event sell out without you. We don't want you wait until the last minute and miss out on what is destined to be one of the best Guitar Playing, Training and Guitar Instruction live event presentations of the year! We are thrilled that Dave Nachmanoff will be joining us as part of the IGC staff again this year. Last year Dave offered workshops on songwriting, accompanying other musicians, stage presence and performance, and was a staple at the late-night guitar scrums that went well into the wee hours. Dave also acted as back-up band to all takers at our Friday night Open Mic, bringing a level of professionalism to everyone's sound, as well as boosting stage confidence to a new level. For more than 10 years, Dave has done just that for none other than the great Al Stewart, accompanying Al on numerous tours all over the world. Dave also has his own career and reputation as an outstanding songwriter and performer. Dave's energy and enthusiasm are infectious and everyone left last year's camp feeling honored to have Dave be a vital part of the TG Community and extended family. A Child Protege... | Born in Vienna, Austria and raised in Los Angeles, Max picked up the guitar for the first time at the age of 12 and has never looked back. Before earning his Bachelors degree in guitar performance he spent his teen years performing with rock bands in Hollywood at such venues as The Whisky A Go-Go, The Roxy and The Key Club. A Global Teacher... | He was invited to attend a Master's program in Germany where he studied jazz and classical guitar and competed in numerous international competitions. While living in Germany, Max taught guitar in several music schools including the American International School where he headed the music department. Take a deep breath and settle in for a time of serene relaxation, reflection and rejuvenation. Celebrated as Monterey Peninsula's "Refuge by the Sea" - Asilomar State Beach and Conference Grounds is a breathtakingly gorgeous 107 acres of ecologically diverse beachfront land. Situated within the quaint and scenic town of Pacific Grove, Asilomar offers guests the simple comforts of cozy cottages and historic lodges - and an unforgettable escape from the demands of everyday life. It is our pleasure to welcome TotallyGuitars and The International Guitar Camp in 2019. Our beautiful properties provides the perfect setting for musicians to come together in the spirit of camaraderie and education. The beautiful and peaceful grounds include luxurious rooms where the IGC guests will be staying. 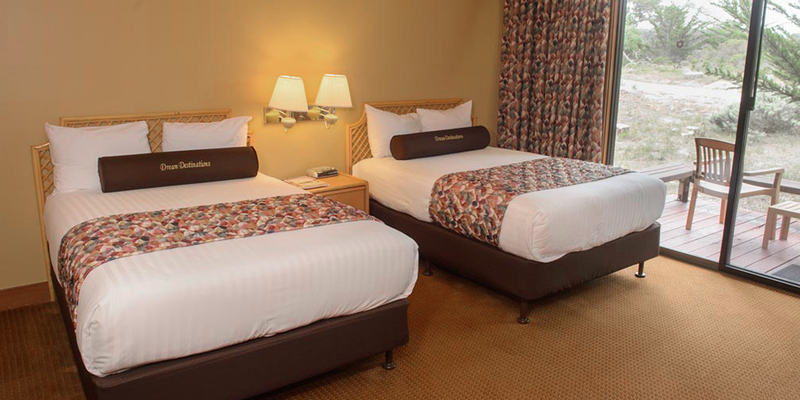 Accomodations are based on double occupancy. Crocker Dining Hall is a spacious and welcoming gathering spot with high-beamed ceilings, stone pillars, hard wood floors and incomparable views of the forest and the dunes of Asilomar State Beach. For an additional dining option featuring organic beverages, tasty sandwiches, creative salads, and sweet treats, try Phoebe's Cafe located in the common area of Phoebe Apperson Hearst Social Hall. A Refuge by the Sea - At Asilomar enjoy a peaceful retreat and the natural beauty that provides breathtaking ocean views, wildlife watching and stargazing opportunities. Asilomar Lodge offers a tranquil destination for this years International Guitar Camp. Local area activities include Asilomar Walking Tours, Beach Volleyball, Biking, Bird Watching, Hiking & Walking Trails, Shooting Pool, Sunbathing, Swimming and Surfing. Whether you are part of a large retreat group or small, we can provide the setting you need to meet your needs, with meeting, gathering, and worship spaces to accommodate up to 195 retreatants. 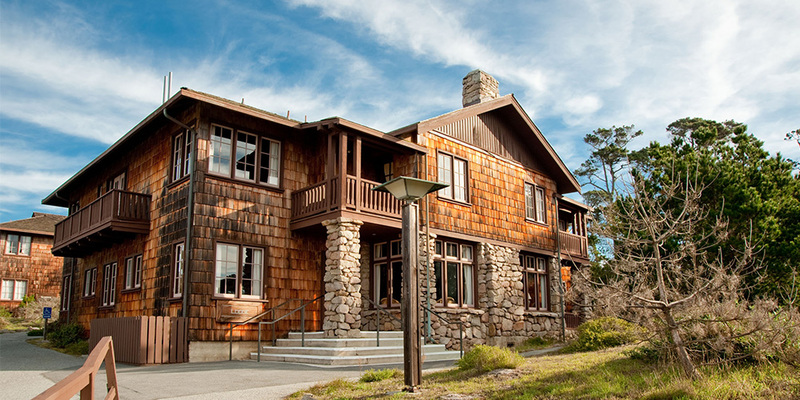 Browse the Asilomar Conference Center website for a complete list of services. Copyright © 2013-2019 IGC. All Rights Reserved.